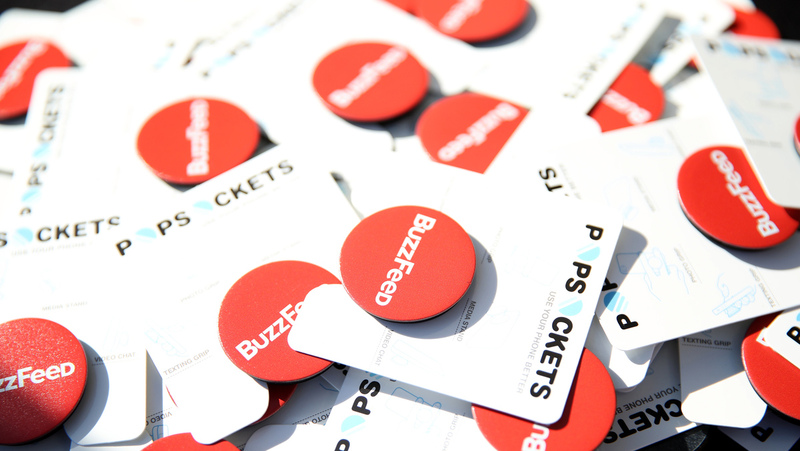 BuzzFeed To Cut 15 Percent Of Its Workforce The company announced the news in a memo to staffers. The layoffs, which are expected to mean over 200 lost jobs, come at a tumultuous time — for BuzzFeed and the online media industry. BuzzFeed CEO Jonah Peretti said Wednesday, "Even though I'm confident this is the right business decision, it is upsetting and disappointing." "The restructuring we are undertaking will reduce our costs and improve our operating model so we can thrive and control our own destiny, without ever needing to raise funding again," Peretti said. "These changes will allow us to be the clear winner in the market as the economics of digital media continue to improve." Further details on the layoffs are expected Monday. "These are talented people, friends, and valued colleagues, who've made huge contributions to our success, and who've done nothing wrong," Peretti said Wednesday. "Even though I'm confident this is the right business decision, it is upsetting and disappointing." The announcement comes at a turbulent time for the online media industry, which has seen several of its biggest names slash their staffs in recent months. Mic Network, which operates a news publication aimed at millennials, laid off its entire editorial staff late last year, shortly before selling the remains of the company to the Bustle Digital Group. Just weeks earlier, Vice Media announced a hiring freeze reportedly aimed at cutting its staff by up to 15 percent. And on the same day that BuzzFeed announced its layoffs, The Wall Street Journal reported that Verizon's media group — which includes AOL, Yahoo and HuffPost — will be laying off 7 percent of its staff. HuffPost deputy opinion editor Chloe Angyal says her entire section is being eliminated as part of the layoffs. "Like so many talented and lovely journalists," she tweeted, "I was laid off today." For those who are wondering, @HuffPost Opinion -- the entire section -- is being eliminated. The beautiful, diverse, inclusive baby we built from scratch is gone. The layoff announcements have not been confined to the digital landscape. Gannett, the publishing company behind USA Today and a host of prominent local newspapers, such as The Indianapolis Star and The Arizona Republic, began a round of layoffs Wednesday that claimed the jobs of a number of longtime journalists — such as political columnist Tim Swarens from the Star. "I'm in shock," he said Wednesday. "Not how I wanted 35 year journalism career to end." As for BuzzFeed, the layoffs come at a time already filled with tumult. The digital news and entertainment site founded in 2006 and best known for viral content that reaches millions of readers worldwide has made a series of huge splashes with its news division in recent years — from publishing the infamous "Steele dossier" on President Trump to its reporting on a proposed Trump Tower in Moscow. Most recently, BuzzFeed News has found itself embroiled in controversy over a report that Trump instructed Michael Cohen, his former personal attorney, to lie to Congress about the tower negotiations. Not long after the report's publication, special counsel Robert Mueller's office issued an exceedingly rare — and carefully worded — rebuke of how BuzzFeed characterized the documents and testimony obtained by his office. In the firestorm that followed, the company has stood by its story. "It's a long line of reporting by these reporters on this specific story that we feel very good about, very confident about," BuzzFeed News Editor-in-Chief Ben Smith told NPR last Friday. Peretti, the company's CEO, sought to express the same support for BuzzFeed employees Wednesday, even as he discussed the upcoming layoffs. "This will be a tough week for all of us and I realize it will be much worse for the people losing their jobs. To them, I want to say thank you, I'm sorry our work together is ending this way, and I hope we get to work together again in the future," he said. "Our loss will be to the benefit of other organizations where I know you will go on to make formidable contributions."